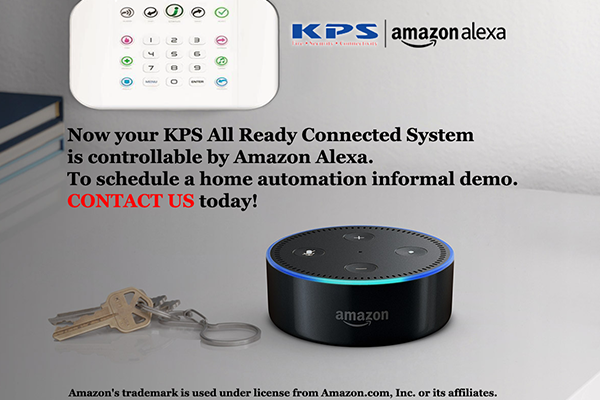 The strength of KPS Alarms with over 25 years of security expertise, combined with Already Connected Home Automation System with features from Amazon’s Alexa. Use Alexa voice-controlled technology services for a seamless and convenient way to control such as lights, thermostat and your home entertainment system. Customers for Life! At KPS, we strive to put you, the customer, first in everything we do. That's why we have customers who have been with us since we started over 25 years ago. KPS is comprised of a family of extraordinary individuals driven by a common mission. Working together, we achieve profitable growth through the accomplishment of our clients, team members’ and leaders’ goals.